The average company has anywhere from 5 to 50 different versions of the same document trapped in a sales portal and not easily accessible to potential users. Most messaging is out of date. It's inconsistently used and violates corporate brand guidelines. It's product-centric, i.e. not easily adapted in a buyer-relevant context. It's trapped in documents or presentations and not easily shared. 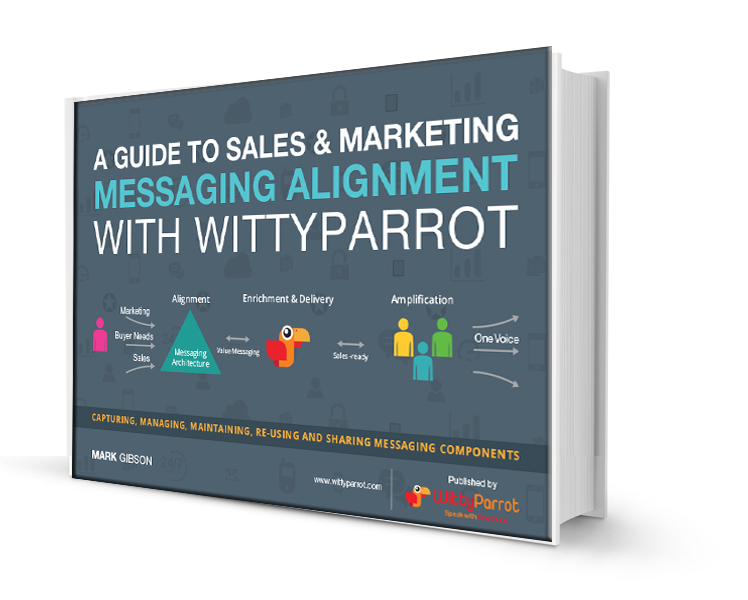 A Sales and Marketing Messaging Alignment process creates structured re-usable content components that are buyer-relevant, well formed, appropriate for inclusion in a variety of the information products; clear, concise and consistent. How to create and structure component based value messaging aligned with buyer needs. How to adapt content components to create website content, brand messaging, sales-ready messaging and customer-service conversations. How WittyParrot is used to delivers the right content at the right time to create competitive advantage.